When it comes to Social Media Marketing – Emerging food brands have some questions. And they brought them to the NewPoint Emerging Food Brands Conference. How did we get here? 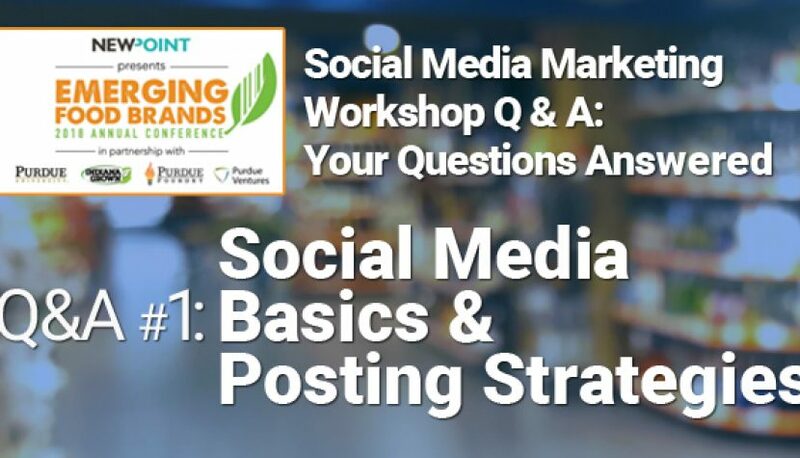 The content of this Social Media Posting Strategies portion (and all program content at our conference) was submitted as questions during registration by the 64 food company/brand attendees. Our expert presenters then addressed the questions—and more—in their programs. In the coming weeks, we’ll be posting each presentation to the “Intel” section of our website. So check back often! 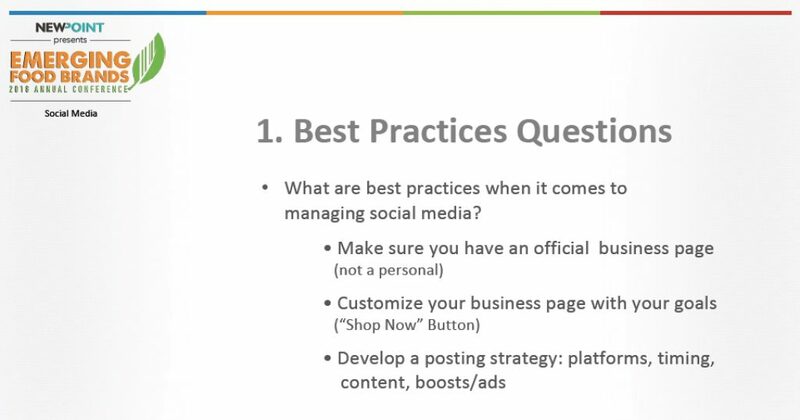 Q1: What are best practices when it comes to Managing Social Media Marketing? There were a lot of questions about the very basics of social media marketing. To address this, we started with this “starter” slide with some guidance on how best to set up your business social media page, and how to approach the process of social media marketing for your food business. Facebook is the most popular and versatile for what it allows you to do. Instagram has the fastest growing demographics, so if you want to funnel traffic to your website, it has the best results. Twitter is hard for food brands because of it all about headlines and news. Pinterest is interesting for food products, since it is picture driven, so it’s easy for people to click through to your website. Make sure you have a business page for your product. This allows you to target your ads and boost your posts. This also allows you to customize your page to meet your goals for social media. For example, if you sell online, your goals are to push people to your online store. For someone who sells in-store, their goals would be to drive people to a retailer. Set up a strategy and plan it out, so you know when you are going to post, or, for example, how often you are going to post, and what time of day you are posting in—plus what great content you are going to post. These practices are helpful so that you don’t overload your audience with posting and also when people might most often be using your products. They are an excellent tool to be more consistent with posting as well as a lot more consistency in people’s responses and sharing. Consider engaging customers at a time of day or during the week that they might be using your product or shopping for it. For example, if the product is coffee, posting in the morning when most people are enjoying coffee. Or on the weekends when they might be out shopping for it. When planning frequency but not wanting to oversell, consider a good mix of hard sells, “relationship” content and branded story. It helps to plan our your social media posting a month or two months at a time. When you are planning, you should follow the 4-1-1 Rule: For every one Hard sell post and one soft sell post, you need to have four posts with your brand story to help build a relationship with your customers. To help build a relationship with your customers, start a conversation or a poll with readers asking what their favorite product is or what product they might like to see from you. You could also ask open-ended questions to get them to engage with you. Even talking about events you are at or what community activities you are supporting. Can you offer a range of discounts or sales with regular frequency? It helps if you track analytics to see which are driving more sales. 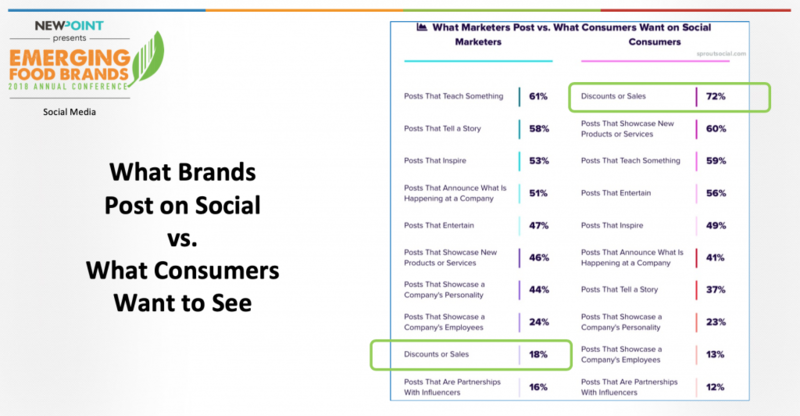 The research findings below validate that even though brands are not posting about it enough, folks are looking for a good deal from the brands they follow. Feed the flame: Loyal and returning fans want to be the first to know if there is something new or different with your product line, brand or company. Teaching something remains a consistent, safe posting strategy and should be a regular component of your posting strategy. Every brand and company is different: your social planning may not fit into the formats discussed here. But it helps to look at these guidelines as a starting point. Social media marketing is always evolving: It helps to stay dialed in on your chosen social platform analytics as well as trends in posting strategies. 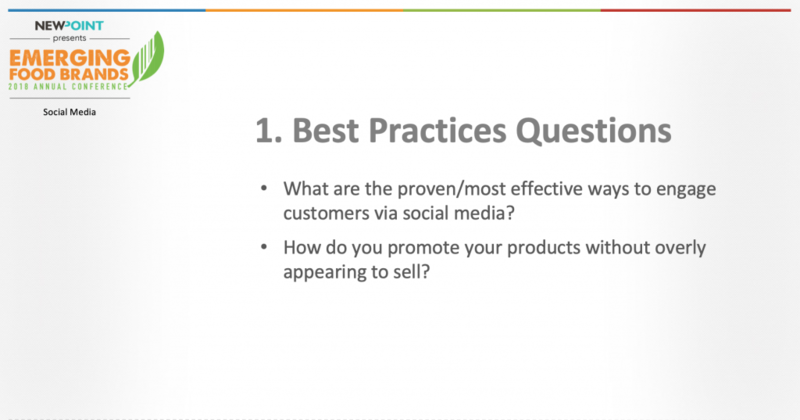 We have more coming—question & answers about Social Media Marketing Workshop Q2: Selling & Coupons in our next post. 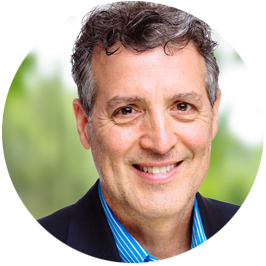 As always, please reach out to my team or me if you are looking for clarification on Social Media Posting Strategies or anything related to marketing you see in these posts! Keep Moving Your Brand Up the Food Chain!